Headers are made from virgin Polyvinyl Cholride material which has been UV-stabilized. The small riser pipes are made from highest grade UV-stabilized Polyethylene. All grommets are made from a TPC material conforming to the highest international standards. 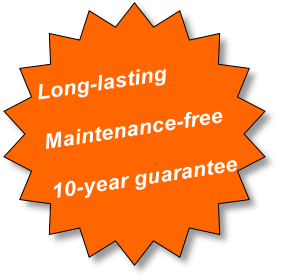 Manufacturing is done in accordance with ISO9001 standards. In addition to our standard panels, we also manufacture panels of different sizes to accommodate various roof dimensions. 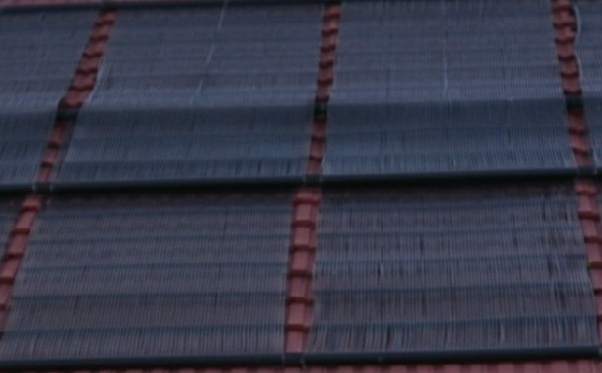 With SOLARPRO There Are No Leaks! Our grommet seats are carefully machined in a CNC machine. Conventional drilling is avoided, so that there will be no danger of stress damage to individual holes. 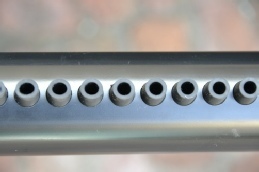 The photo above shows a row of grommets fitted securely into holes in a feeder pipe. 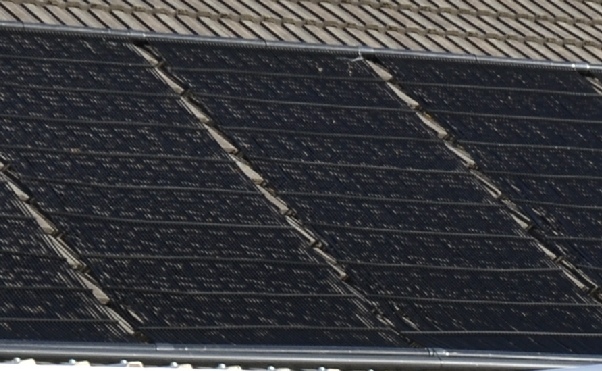 We take pride in bringing you a superior solar panel for use in pool heating.